For the past few days, Google Merchant Center has been plagued with a bug named unexpected image processing error. This started back on May 9th and is still an issue a few days later. 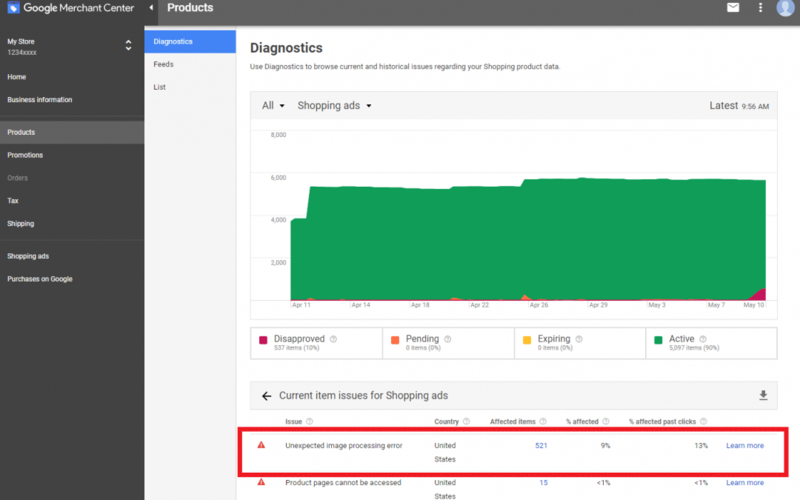 A nice percentage of products, all which meet the guidelines, are showing this error and there is nothing these merchants can do to get these products into the Google Shopping results. Feedonomics said they expected the issue to be resolved today before 12:00 GMT, which is in 30 minutes from the time I post this.